I’m a little in love with felt right now. 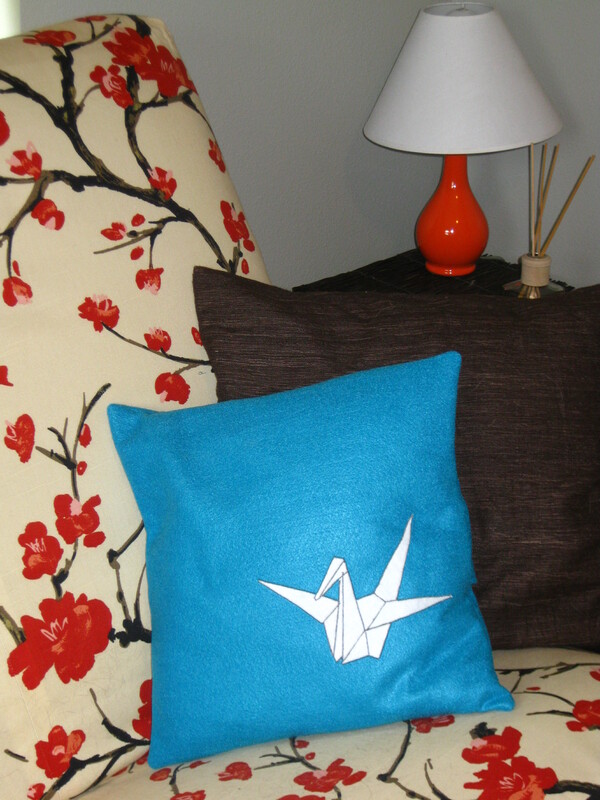 It’s the perfect mix of craft project and sewing. It acts like paper and fabric at the same time. 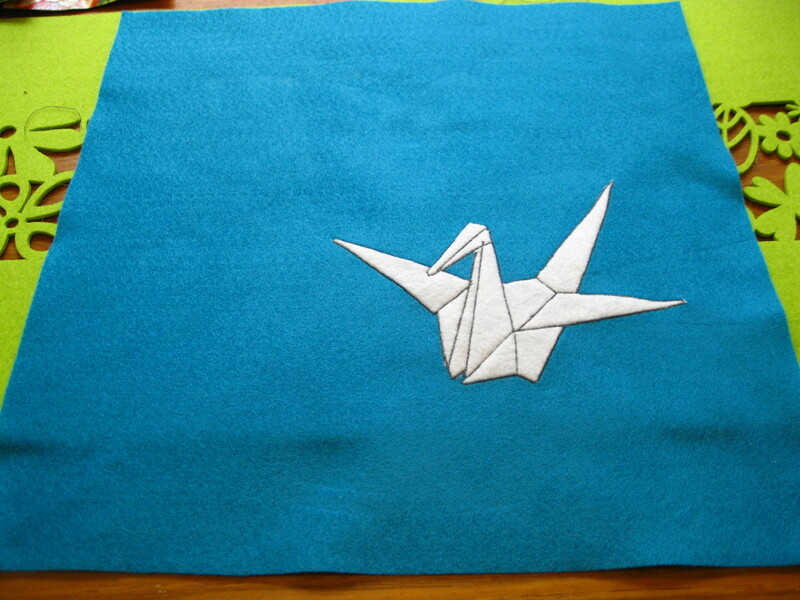 I started by finding a simple line drawing of an origami crane then cutting out the individual shapes and piecing them back together using fusible interfacing. As I got ready to stitch in the outlines I realized I could’ve just started with the full shape and just used the outline to show the shapes – but at least the puzzle was fun to put together. While I am enjoying adding pops of color to the soon to be craft room, the next project needs to use the beautiful poppy fabric I have from Jill Bliss. Wow – so much for the blog giving me some sewing motivation… But to be fair we flipped two rooms and are still finishing that, it was time for some serious spring cleaning in the yard and I started helping a friend with a campaign for city council. 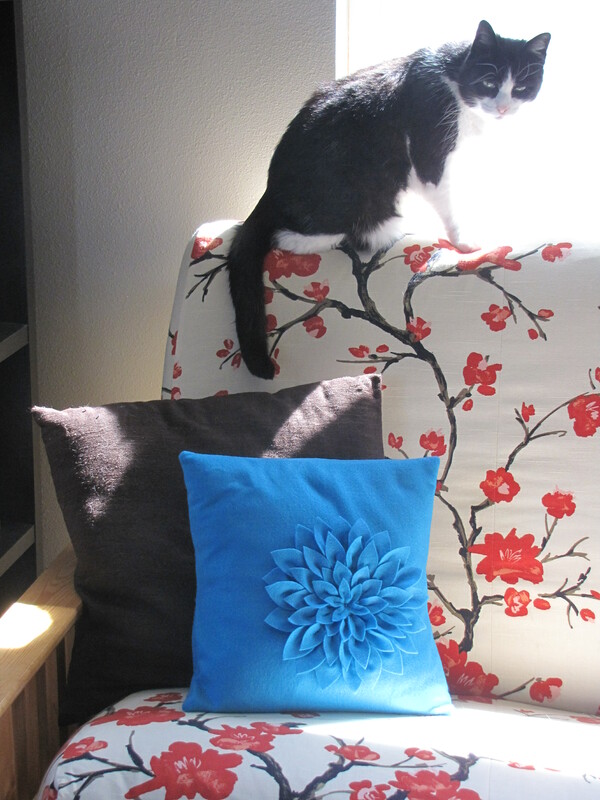 But I did get the sewing machine and a pile of felt out and whipped up this super cute pillow. 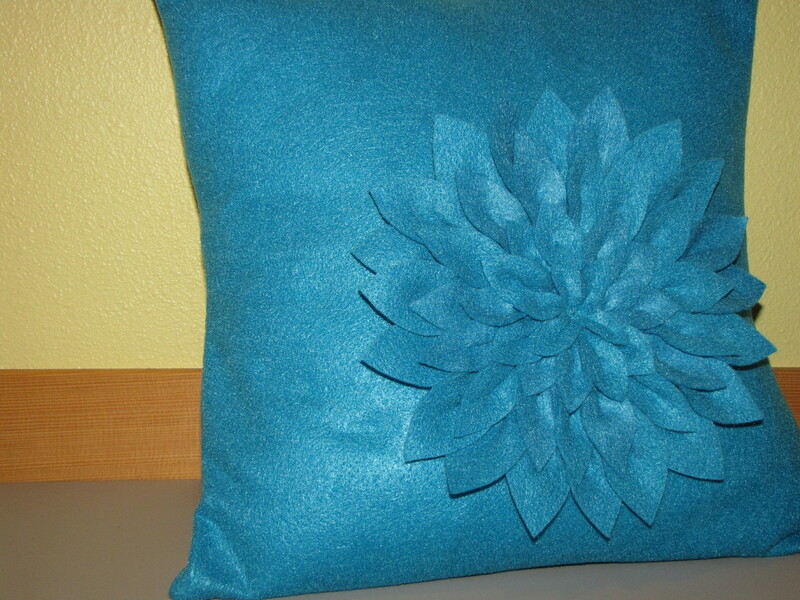 I used Amy butler’s snow mum pillow pattern. 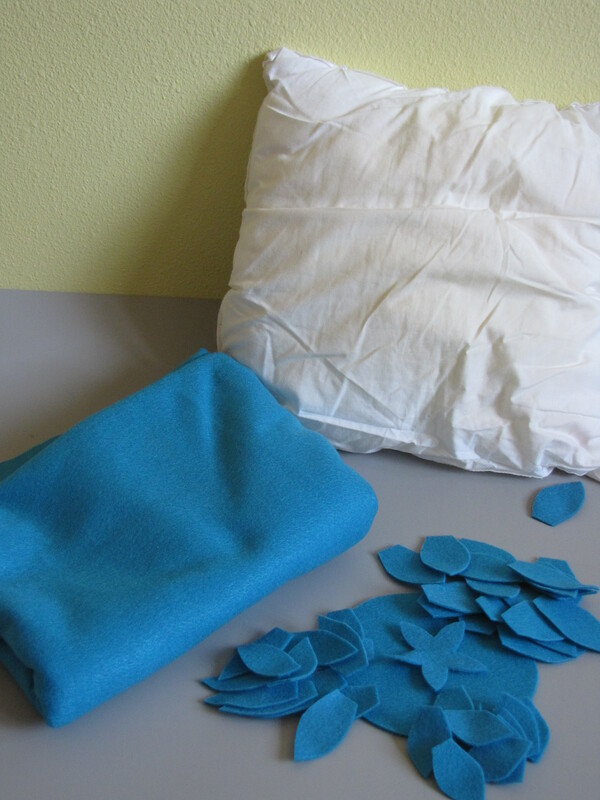 It was really simple (though I did cut all the pieces before I read it so ended up skipping the interfacing step…). I cut all the pices a couple weekends ago – I think that took almost as much time as sewing it together. 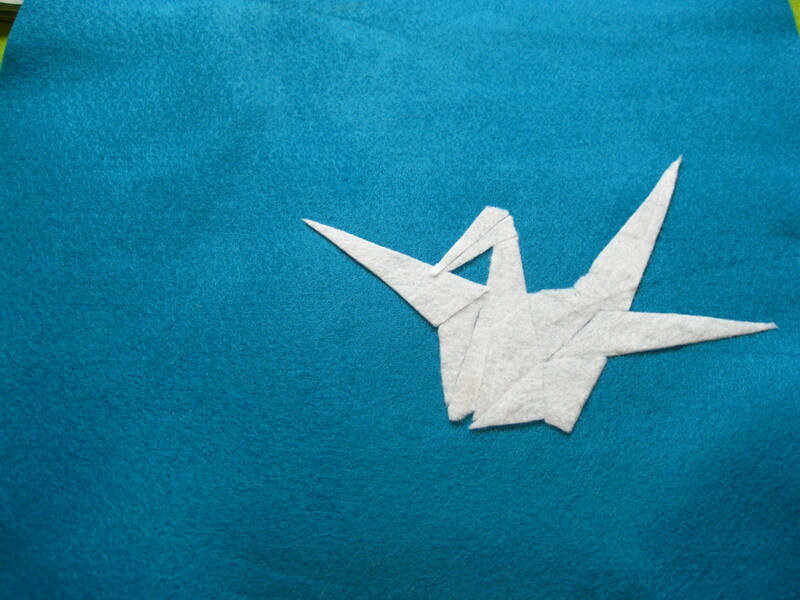 It was a little time consuming, but actually a really easy way to use up a bit of my giant felt pile. 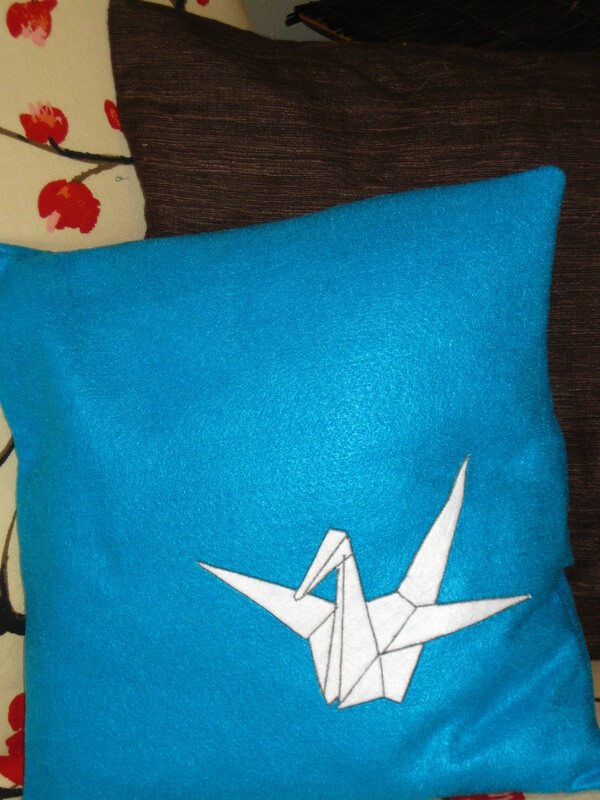 And more importantly it gave me a fun new pillow – and brings some of the new turquiose wall into the rest of the room.